This is one of my favourite love spells because it is about pure love and it doesn’t give a monkeys what anyone says about living in the real world. I cast my Honeymoon Love Spell for anyone who feels their relationship has lost its sparkle, or worse, their lover has left them. People say the honeymoon period cannot last, but they don’t say why. What happens is a couple stop looking at each other in only a positive light, they notice their lover actually has faults and start to grumble about them, and then both lovers feel they aren’t in love as much with each other as they once were - they are, but they’ve decided to allow negativity into their relationship, and although ‘that’s life’ it has to be said they were far happier during in the honeymoon period, and what is wrong with that? Being happy and positive has a massive knock on effect, it attracts more love and fun, it’s always more productive to focus on the positives than the negatives. Being in love is good for your health too! My Honeymoon Love Spell therefore return the rose tinted glasses to both lovers, after all, would a romance ever take off if both lovers were critical of each other? NO. Love is positive, wonderful, warm, dreamy and carefree - why would anyone want their lover to think let alone say anything that shatters their confidence? Cloud 9 is the place for lovers, not ‘down to earth’ i.e. reality - love is the things dreams are made of. Which is nicer, being 'head over heals' in love, or being lonely? I have Honeymoon Love Spell extras (see below), these are extras you can add to your Honeymoon Love Spell. My clients have different love problems, for example as soon as the honeymoon period is over one lover might assume their relationship is over too, they may find someone new, therefore some clients will want their Honeymoon Love Spell to reunite them with their ex as well as make their ex lose all interest in the new person. Meanwhile, I will have another client upset because their lover seems to have forgotten they exist - the romance has gone, in which case the ‘repair job’ is a little easier, and a Honeymoon Love Spell without any add on elements will be sufficient. 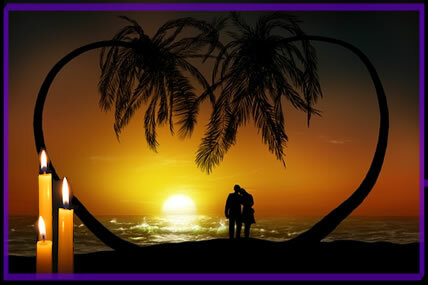 The Honeymoon Love Spell can be used in conjunction with any love spell on this website, or alone. Honeymoon Love Spell extras - if desired or needed.